Varian Medical Systems, one of world's the premier manufacturers of radiation therapy equipment, recently built three new test cells at their Palo Alto, California, facility. 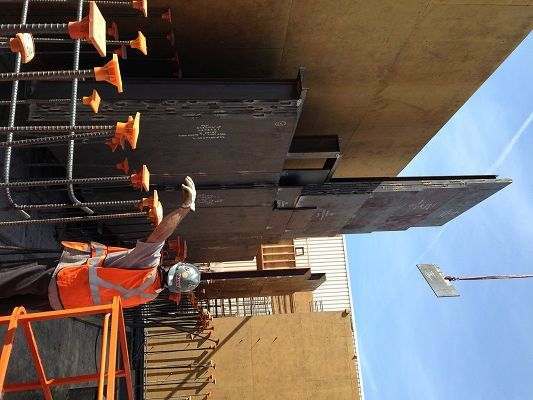 Radiation Protection Products (RPP) was contacted by the project's general contractor, JR Griffin Construction, to develop and supply the radiation shielding the test cells required. All three test cells were fitting with 42,000 lbs. shielded sliding doors, among the largest RPP has ever built; two of the cells also required 9-foot wide, 18,000 lbs. swinging neutron doors. RPP also supplied steel shielding for the walls of all three cells. Due to space limitations and the massive amount of shielding Varian's equipment required, two of the cells were built without mazes at their entrances. Without mazes, additional shielding was needed-these were the cells with both sliding and swinging doors installed. A unique setup was created to enable both types of doors to work in tandem to provide appropriate protection. Because they were installed in test cells that operate on a near-constant basis, with equipment being moved in and out regularly, the radiation shielding doors RPP provided are opened and closed much more frequently than similar doors in a hospital setting. All five neutron doors required heavy duty construction to withstand this additional wear and tear. The steel shielding RPP provided for the walls of Varian's test cells presented numerous challenges, as well. 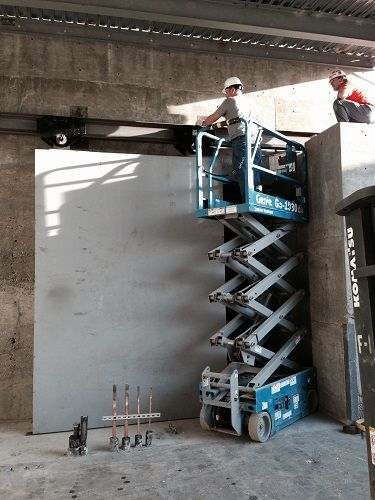 To provide the appropriate level of radiation shielding, multiple layers of 1" thick steel were required; to fit the size of the cells, multiple sections of 1" thick steel were welded together. In the end, the steel shielding was as much as 18" thick in some places. An overhead crane was required to move the steel into place, and RPP used a proprietary method of "floating" the steel during installation that allowed JR Griffin to use only one concrete pour instead of two, simplifying and speeding up the overall process, and offering a significant cost savings to Varian. For more information, contact Radiation Protection Products, or request a quote on your own radiation shielding needs.